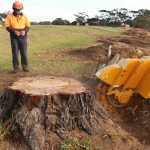 There are many reasons why you would want to eliminate tree stumps. Whether they be in your backyard or wherever else. Apart from making your land more aesthetically pleasing. They can also improve sanitation concerns, ensure the safety and well-being of your family members and neighbors. But the challenging question is which the best way to remove the stumps is. 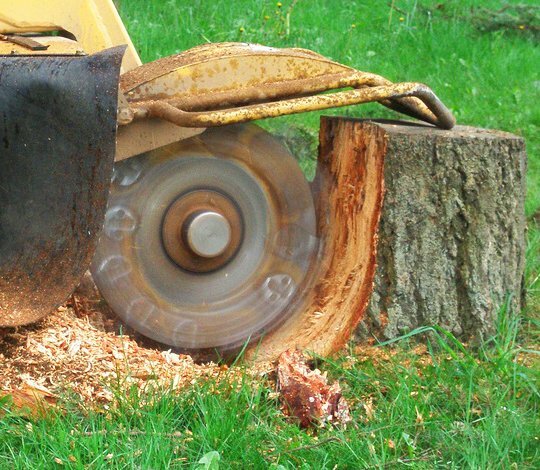 There are two popular methods-Stump grinding and stump removal. This article will be describing these two methods so you can choose the best form of stump elimination for your particular case. 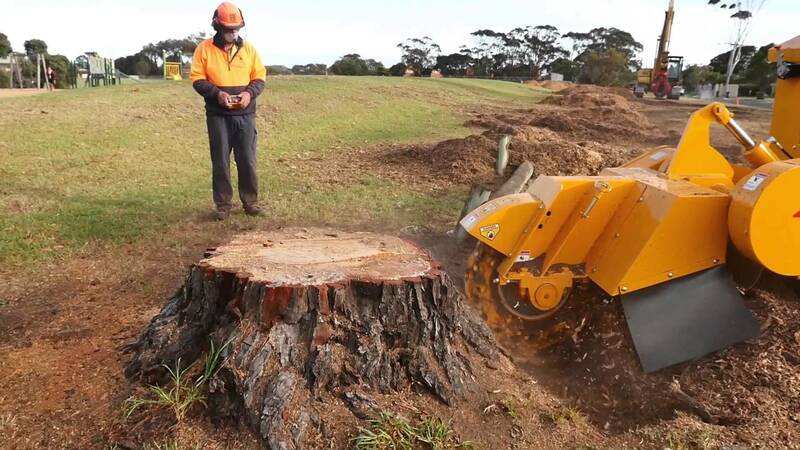 There are a couple of reasons why you should consider getting tree stumps removed. • Tree growth: If the tree stump is left unattended for a long period of time, there is a good chance that smaller trees will start growing around it which can prove to be very expensive to remove later. The stump will also slowly sap away nutrients which can cause nearby plants to wither away and die. • Safety: Tree stumps can be a hazard to small children who can trip over them and seriously injure themselves. They can also prove to be destructive for your poor lawn mower. • Pests and Diseases: Decaying tree stumps can be a haven for many insects like carpenter ants, beetles, and termites. These pests can pose a concern for your other plants and your home. Stumps may also be harboring fungi and diseases if left untreated. • Aesthetics: A tree is a great addition to any garden but a tree stump has the opposite effect. They can be an eyesore if they are left decaying and full of mold. Stump removal technique deals with removing the whole stump along with the root ball of the tree. This is considered to a fairly difficult process since when the tree grows, the root ball also grows with it. The root balls grow exponentially compared to the rest of the tree making it usually almost 10 times the size of the tree itself. This is why it considered being a difficult process. Even stump removal professionals describe the process as challenging. Also, once the root ball is removed there will be a huge hole in the ground where the tree once stood. Stump grinding is quite different from its removal counterpart. Here the root is not removed but the stump itself is ground away a few inches below the ground. This is where it is then covered by dirt and dust. The remaining portion then decays below the ground over a period of time. While performing stump grinding, the stump is grounded into small pieces using a stump grinder which can then be used as mulch or ground cover. For most cases, stump grinding is the better option amongst the two as it is more economical and easier to perform. There is also no large hole left in the ground as a result of the roots being removed which is the case with stump removal. 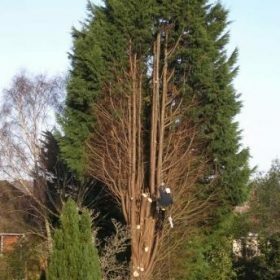 It is recommended to hire a professional stump removal. They know the best way to deal with your particular issue. Thanks so much to Boss Tree Service Springfield Il for sponsoring my blog! Copyright © 2018 eauclairejunkremoval.com. All rights reserved.